I absolutely love Pick Your Plum. I feel they have the best prices of all of the previous mentioned sites. They do not add as many new deals every day as the previous three sites, but sometimes that is better. I have ordered party supplies from them. Also, accessories for myself and home decor items. Actually many of the frames from my daughter's nursery are from Pick Your Plum. They were unfinished and I painted them the color I wanted them to be. See post here. (They are used in the "You are my sunshine" signs and the frames on the side of my daughter's crib. 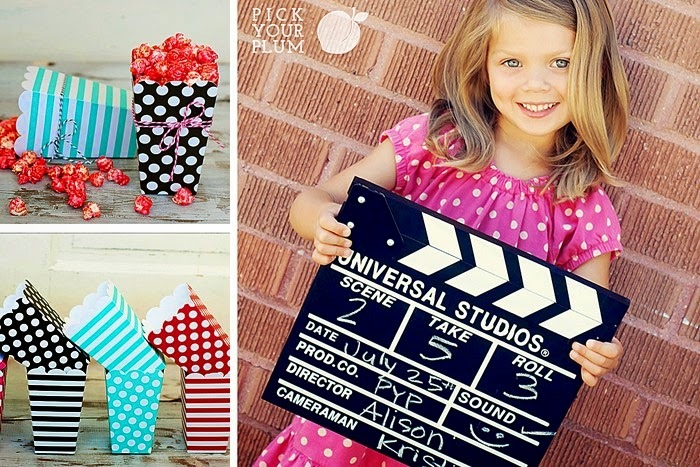 Popcorn Box 10 Pack & Movie Clappers - starting at $3.99 - Aren't these so cute? 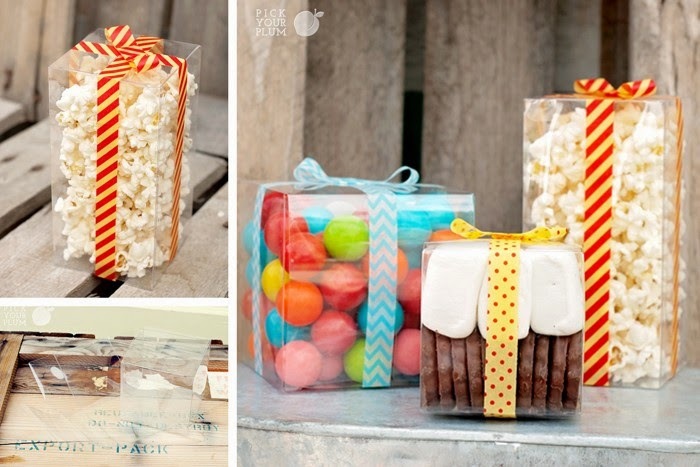 They would be perfect for a movie night party! 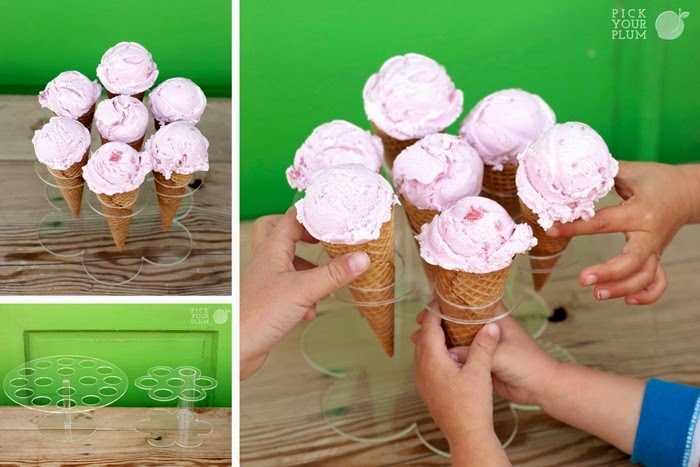 Ice Cream Cone Stands - starting at $12.99 - These are making me want to do an old fashioned ice cream party for my daughter's next birthday. SO CUTE! Plastic Containers Set of 10 - starting at $3.49 - These are perfect timing for the holiday season. Don't they look great for neighbor gifts? There are so many more things on Pick Your Plum! So head over there and check them out. I love almost everything. See three more of my favorite deals available on Pick Your Plum. 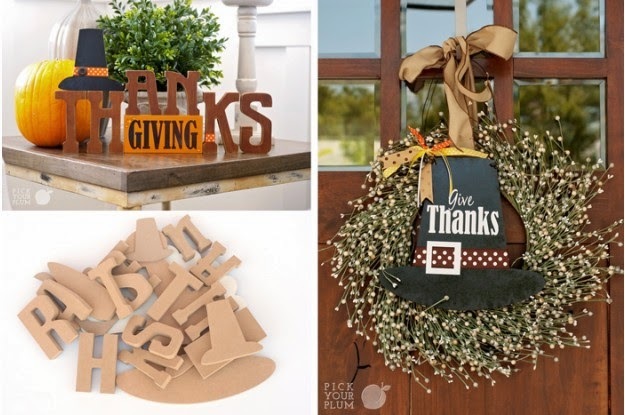 Harvest Wood Decor - starting at $7.99 - For all you crafty readers out there! That includes me! 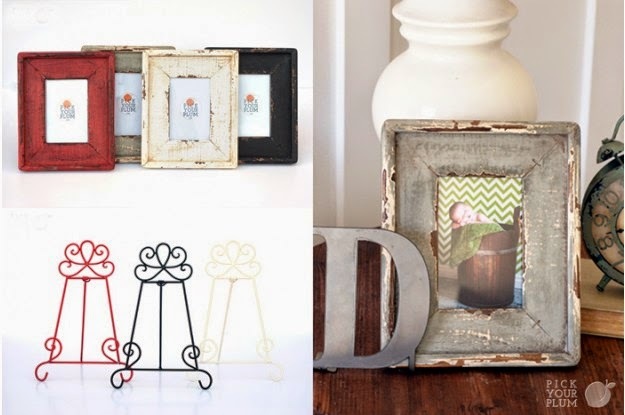 Wooden Photo Frame and Metal Easels - starting at $4.99 - Love the look of these. I also love picture frames...can you tell? 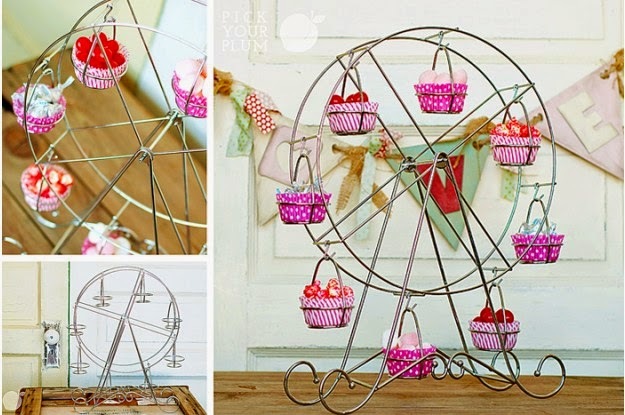 Ferris Wheel Spinner and Cupcake Sets - starting at $1.99 - Um. I love cupcakes so maybe that is why this speaks to me. So cute, right? !